KUALA LUMPUR: Eco World Foundation has emerged as the first organisation to participate in the Social Impact Exchange (SIX) by funding a social-purpose organisation (SPO) that focuses on Orang Asli students. 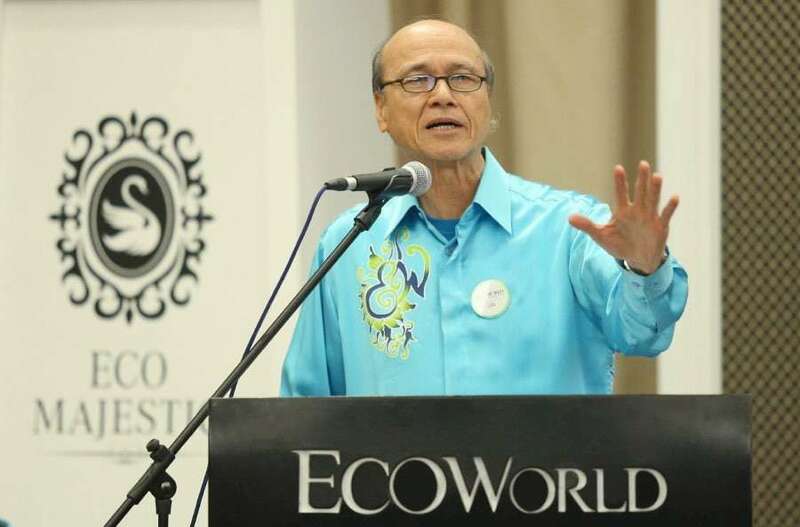 Eco World Foundation Chairman Tan Sri Lee Lam Thye said the foundation had agreed to invest in the “Empower 2 Teach” programme, which is to provide sustainable preschool education in remote Orang Asli villages in Peninsula Malaysia. The programme by Persatuan Kebajikan Suara Kanak-Kanak Malaysia (SUKA) is one of the programmes listed in SIX, the country's first pay-for-impact exchange that was launched by Prime Minister Datuk Seri Najib Razak at the Global Entrepreneurship Community Summit 2017 in Kuala Lumpur yesterday. “Following the launching of the first ‘stock exchange’ for companies to invest in SPOs, Eco World Foundation is the first to respond by becoming an investor to fund one of the SPOs,” Lee said in a statement. He said SIX was a good platform for non-governmental organisations and social enterprises to be listed on the exchange, where corporate companies could provide financing to NGOs and start-ups as part of their corporate social responsibility initiative. Lee said the “Empower 2 Teach” programme was chosen because the foundation believed in education and always wanted to help Orang Asli children excel in their studies. “This is really a good platform for us to work with SUKA, which has the experience and access to remote Orang Asli villages,” he said. He said Eco World Foundation had always placed a strong emphasis on education and looked upon equal access to education as an investment for the country’s future. “By providing the early childhood education, the foundation believes that Orang Asli students can adapt to formal primary education better, hence reducing the dropout rate,” he said. Under the sponsorship, he said the foundation would allocate RM200,000 to help train the Orang Asli youths who would assist SUKA set up and operate preschools in 10 selected Orang Asli villages. He said 200 Orang Asli children would benefit from the programme annually and about 300 Eco World Foundation volunteers are also prepared to help ensure the success of the programme. He said the foundation’s existing programme - the Students Aid Programme (SAP) – currently provides financial assistance to underprivileged primary and secondary students from all races. At present, the foundation is helping 3,150 primary and secondary school students from Kuala Lumpur, Selangor, Perlis, Kedah, Penang, Pahang, Johor, Sabah and Sarawak. “With a budget of RM5 million annually, the SAP practices a holistic approach by addressing every aspect of a primary student’s educational requirements – from equipping them for the new school year to arranging their meals in schools and paying their school and tuition fees,” he said. Apart from that, he said the foundation also provided counselling, home visits and career guidance to the students involved.